Troubling trends in Twin Cities courtrooms, unprincipled actions by Minnesota’s attorney general and multiple vetoes of commonsense reforms by Governor Mark Dayton have earned Minneapolis and Saint Paul the unenviable distinction of being named a Judicial Hellhole. There is a pervasive liability-expanding view that is spreading throughout the state. In 2018, Attorney General Lori Swanson came under fire for paying $125 million in attorneys’ fees to an out-of-state law firm after hiring it to manage a suit against 3M Company alleging that its disposal of perflourochemicals (“PFCs”), which were used in a variety of products, had contaminated ground water. After seven years of litigation, 3M and the state agreed to a settlement in the form of an $850 million grant aimed at improving water quality and sustainability, and that would also pay for fishing piers, trails and preserving open space. Of that settlement, the state paid $125 million in contingency fees to the private attorneys, or roughly $47,000 per day for seven years. 3M, formerly known as the Minnesota Mining and Manufacturing Company and founded in Minnesota in 1902, is headquartered in St. Paul and continues to be a major employer in the area. The lawsuit had sought $5 billion. Members of the Minnesota House Ways and Means Committee held a hearing on the settlement in mid-May over concerns about the fees paid and the fact that none of the fees would be injected back into the Minnesota state economy because it was paid to an out-of-state law firm. Following the hearing, efforts were undertaken in the House to prevent these types of payments in the future. The House passed a budget bill that included a provision prohibiting the attorney general’s office from contracting with outside private attorneys on a contingency fee basis, except in limited cases; however, it was excluded from the final version of the bill. A recent series of court rulings in a case involving BNSF Railway shows why defendants believe they face an unfair and uphill battle in Twin Cities’ courtrooms. Judge Amy Dawson of the Hennepin County District Court, the largest trial court in Minnesota and the court for Minneapolis, disregarded the rule of law and failed a basic test of fairness in her handling of this case, which helped solidify the Twin Cities’ position on the Judicial Hellholes list. In that case, a railroad employee claimed to have sustained permanent injuries as the result of an alleged exposure to “hazardous chemicals” while working next to a specific railcar in BNSF’s yard in January of 2014. BNSF conducted an immediate and thorough investigation with the local fire department, company hazmat responders and two emergency-response contractors, and found no odors, signs of leakage, or abnormalities in the railcar identified by Plaintiff. It was not until three years later, after litigation had commenced, that the plaintiff for the first time declared that his injuries were the result of exposure to “hydrocarbons” leaking from one of eleven different railcars, not owned or leased by BNSF, located on a different track in the yard. The court ordered BNSF to make those eleven cars available for inspection during the discovery stage of the litigation; however, the railroad was unable to do so because three years had passed and they did not own or lease the cars in question. Following BNSF’s inability to produce the cars, the plaintiff asked the court to sanction the railroad. The motion of sanctions was not limited to the missing cars but broadly claimed the railroad had discarded evidence and other misconduct, without supporting evidence. BNSF repeatedly disputed the accuracy of this information and offered to provide testimony in support of its position, but the court refused to allow in the evidence, and instead, wholly accepted and adopted Plaintiff ‘s claims. Data in the documents relied on by Plaintiff were later corrected by the U.S. Department of Transportation Pipeline and Hazardous Materials Safety Administration because a technical glitch in the reporting system inaccurately reported “natural gas condensate” as the technical/trade name for BNSF’s submission of the materials involved in the incidents. Despite this fact, the judge relied on the inaccurate data and denied BNSF’s attempt to introduce refuting evidence. Plaintiff also claimed that BNSF improperly disregarded relevant evidence by not making the 11 railroad cars available for inspection. BNSF argued that, because they were not aware of the involvement of the specific cars in the accident until nearly three and a half years later and they had no control over their whereabouts, it had acted properly. Judge Dawson, not surprisingly, nevertheless agreed with the plaintiff. Not only did Judge Dawson impose sanctions, she struck all of BNSF’s liability and causation defenses, allowing the case to proceed to trial solely on the issue of damages, and ordered BNSF to pay the plaintiff’s attorney’s fees and costs. Essentially, BNSF was forced to go to trial with both hands tied behind its back. BNSF was denied the opportunity to present evidence indicating that the plaintiff ‘s condition actually resulted from an underlying pre-existing condition and natural causes, not the alleged exposure to chemicals. The judge unfairly stripped BNSF of its right to have a jury decide the question of liability, and it simply became a question of how much money the plaintiff should be awarded. In a result that should surprise no one, the jury returned a $15 million verdict. In April 2018, Judge Dawson, again without a hearing or any responses by Plaintiff to BNSF’s post-trial motions, denied BNSF’s post-trial motions and entered final judgment against the company. Three months later, the court fined BNSF an additional $4.6 million, in addition to ordering the railroad to pay $1.1 million of the plaintiff ‘s attorneys’ fees and $89,600 in expenses. The case, Kowalewski v. BNSF Railway Company, is now on appeal. Minnesota voters sent a strong message in 2016 when they elected a reform-minded, pro-business majority in the state legislature for only the second time since the early 1970’s. During the 2017 session, legislators passed several commonsense initiatives long stalled in the state. Regrettably, however, Governor Mark Dayton’s ‘Veto Triple Play’ preserved the status quo in favor of the personal injury bar—a generous supporter of his campaigns. The measures that Governor Dayton vetoed enjoy widespread support across the country. The “trespass” bill that the Governor vetoed, which merely codified existing law to guard against judicial adoption of an extreme proposal of the American Law Institute is extraordinary since he is the only governor ever to veto such a measure. By contrast, 24 other governors of both parties have signed such legislation since 2011. He also vetoed bills that would have lowered the prejudgment interest rate and allowed defendants in auto-accident cases to introduce evidence as to whether plaintiffs were wearing their seatbelts. The Minnesota Supreme Court issued a land-use decision that will have a far-reaching impact on the ‘Land of 10,000 Lakes.’ In a June 2018 ruling, the court held that a state law that limits the liability of those who make their property available for recreational use, does not apply to private land unless it broadly open to public. This decision combined with Governor Dayton’s veto of the trespass liability reform bill opens Minnesota landowners up to excessive liability. The case involved a father who owned forty acres of land which he and his immediate family members used to deer hunt. The son was climbing into one of the deer stands built by his father when a nail came loose and he fell to the ground and broke both legs. He then sued his father. In reversing the lower court, the Supreme Court held that the case did not sufficiently involve public use of the land. Even though the father allowed his immediate family members to hunt there, he did not allow extended family members or friends and excluded members of the public through the use of a “no trespassing” sign. One can quickly see the dangerous precedent this decision sets. Under the court’s logic, in order to be provided immunity from a family member’s lawsuit, a landowner must post a sign that says, “Open for Public Use” and allow any and all people access to the land. In November, the Minnesota Supreme Court rejected the proposed amendments to the Rules of Evidence seeking to adopt language that would functionally adopt the Daubert rule. These amendments would have brought Minnesota in line with more than two-thirds of the states. 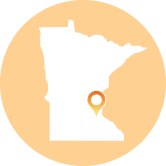 The decision solidifies Minnesota’s position as an outlier in its approach to evaluating the admissibility of expert testimony. Adoption of these amendments, which were consistent with Federal Rule of Civil Procedure 702, would have kept “junk science” out of Minnesota courtrooms, and demanded that all expert evidence was based on reliable principles and methods. The Daubert standard empowers the trial judge to serve as a gatekeeper, ensuring that proposed expert testimony is the product of reliable scientific methods. The amendments would have brought about greater consistency and discouraged forum shopping. Despite the Advisory Committee recommending similar amendments, this disappointing decision did not come as a surprise. In April 2018, Governor Dayton appointed longtime Democratic state Representative Paul Thissen to replace Justice David Stras, who was appointed to the U.S. Circuit Court of Appeals for the Eighth Circuit. Thissen is the fifth justice appointed to the Supreme Court by Governor Dayton, and the latest in a long line of partisan selections. The other two members of the seven-judge court were appointed by former Governor Tim Pawlenty (R). Thissen is the first lawmaker to make an immediate jump to the Minnesota Supreme Court, and he was known to support progressive liability-expanding initiatives during his time in the House. Following the 2018 elections, Tim Walz (D) will replace Governor Mark Dayton (D) and Keith Ellison (D) will replace Lori Swanson (D) as attorney general.